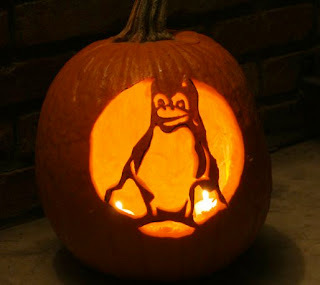 For this Halloween season, I decided to post a few old but entertaining and somewhat educational Linux/Unix horror stories that were compiled by Anatoly Ivasyuk. Actually, Anatoly has created an entire page filled with Unix-related horror stories and I just picked a few interesting entries to share with you all. Don't worry, I will provide you the link to the complete horror stories page right after my choices. Enjoy! ohhhhhhhh sh*t i hope those tapes are good. intermediate (wron) version of this file with an extra '-o' in it. removes any OTHER file that hasn't been accessed in the last 24 hours. summer (and this was a research lab). accessed in the previous day (thank god I didn't do this on a saturday). I was also lucky that I'd used tar the previous day, as well. I still felt sick having to tell people in the lab what happened. More Linux/Unix horror stories can be found HERE. If you have a Linux/Unix horror story to share, feel free to write it down on our comment section. why do people use `rm -rf *`? its bad. always use the full path people. My biggest Linux nightmare would be waking up and finding Microsoft Windows back on my system!